Ever notice how you experience a fight or flight or freeze reaction in the state of high stress? Often our bodies hold on to unneeded tension and our breathing gets more shallow. 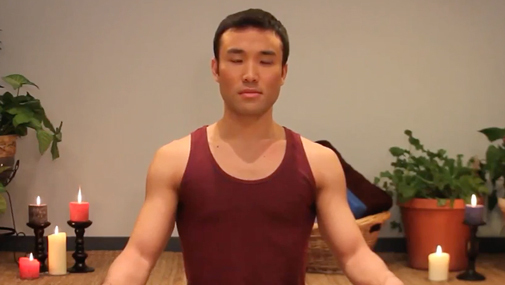 In this video we discuss two breathing tips to help regain the balance within the nervous system. Hello, I’m Dustienne with Your Pace Yoga. Today we’re going to talk about pranayama, or breathing, and trauma. breath and feel stuck it feels like it’s coming from here. Today I want to offer two concepts that you might find helpful in regaining that balance of the sympathetic, which is the fight-or-flight, and the parasympathetic nervous systems. 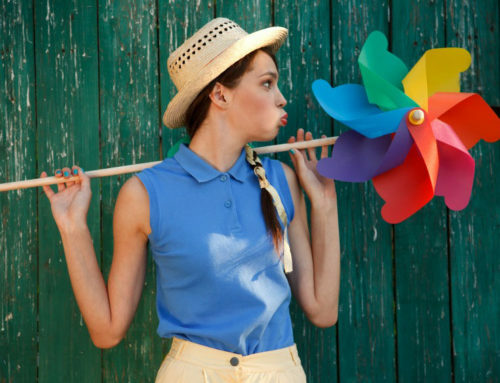 So the first thing I love is called the “letting go breath.” This breath you inhale and exhale on an audible sigh. Keep practicing that. As you’re inhaling, notice if you are overusing the muscles here or if you’re overusing the muscles in here and as you exhale inaudible sigh, see if you can let that go. See if there’s anywhere else you can soften the body. The second concept I wanted to talk about was the idea of using your hands as a feedback for what’s going on in your rib cage. 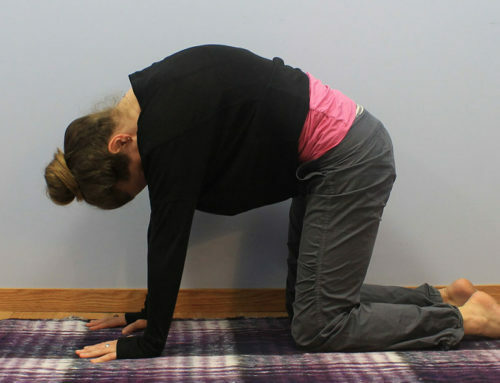 So place your hands with the thumbs in the back near the spine and the rest of your hand is around the rib cage. And just take a notice as to what you’re feeling naturally, don’t try to force it to be a bigger breath than it is. Take an inhale and exhale. See if you notice a difference between the right side of the rib cage and the left side. As you continue to breathe, see if you can allow for more expansion on the side that’s lagging a bit behind. Great. So the idea is not to force beyond what your body wants to do but more use your hands as feedback and see if you can allow your body to accept a fuller expression of the breathing. I hope you all have a beautiful day and I look forward to joining you again. Please tell your friends and I’ll see you next time. Breathing during Yoga: Do I Inhale or Exhale?